Today was going to be a Theoretical Thursday, but I got a delightful surprise this morning--my new pattern is up at Knit Picks! So we're going to talk about that instead, hope you don't mind! 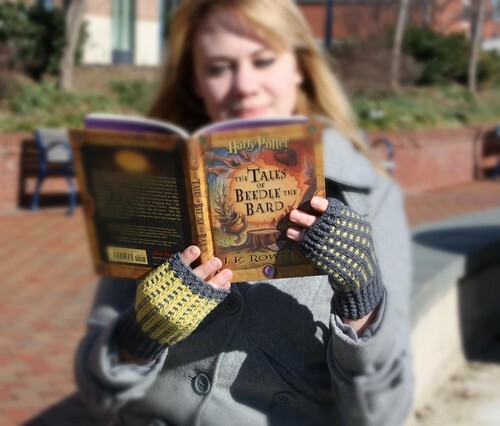 These are a spring-y mitt, bright and cheery, but all that wool will still keep your knitting (or crocheting. or wand-wielding.) hands warm. 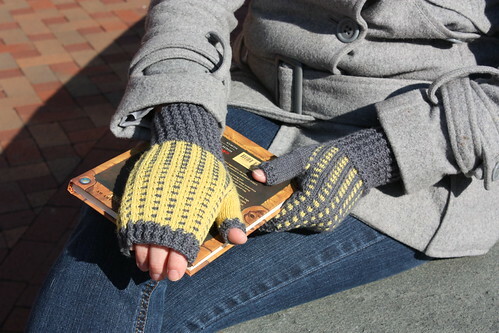 The cuffs and edges feature a rick rack rib, while a slipped stitch pattern is used around the hand to create the checkerboard-like pattern. They're designed to coordinate, not match--the main and contrast colors switch for the hand of the 2nd mitt. 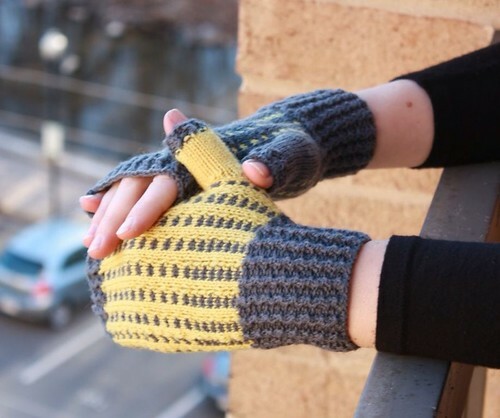 Solid colored thumbs are tricky to pull off when working with 2 strands of yarn, but I've provided a number of tips for making it work (fingers crossed!)! A million thanks to Knit Picks for picking up my pattern, to my sister for modeling (if you look closely, you can also see a glimpse of the Wayfarer scarf I knit her for Christmas! ), to Stephanie, AKA Swiffie, for help with editing, and to you guys for your continued encouragement!